All items are shipped via USPS, at $7.00 flat rate shipping + $0.50 per item. Orders usually ship within 5 business days. Absorbs well, leaving the skin soft and silky smooth. Does not leave a sticky or greasy residue. After many months of working on the perfect recipe, we at Dreamy Sunset Farm came up with a thick and creamy lotion that absorbs well, and doesn't leave a sticky greasy film on your skin. 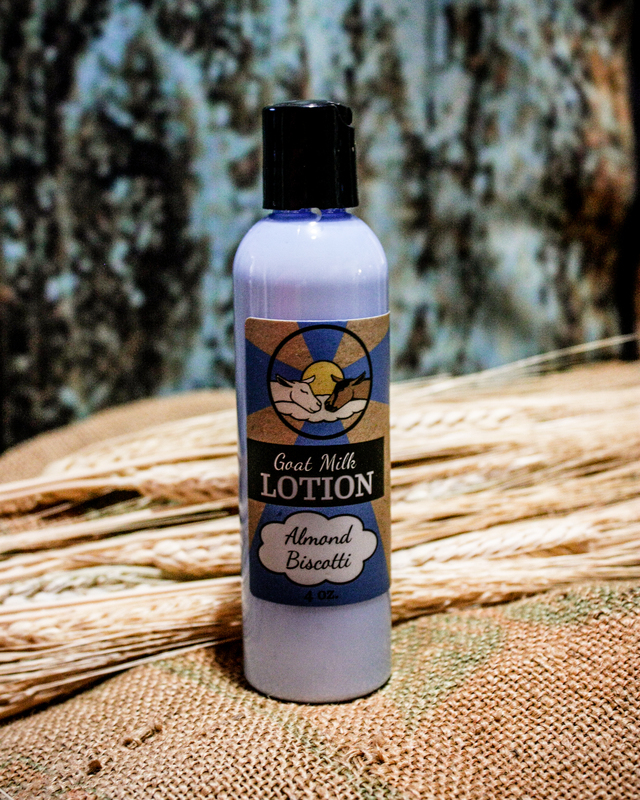 The wonderful blend of almond butter, shea butter, almond oil and argon oil is just the start of this luxurious lotion. By using our own fresh goat milk, we have created a product our customers are raving about. With our various fragrances, or no scent at all, we are confident you will find one that is just right for you!